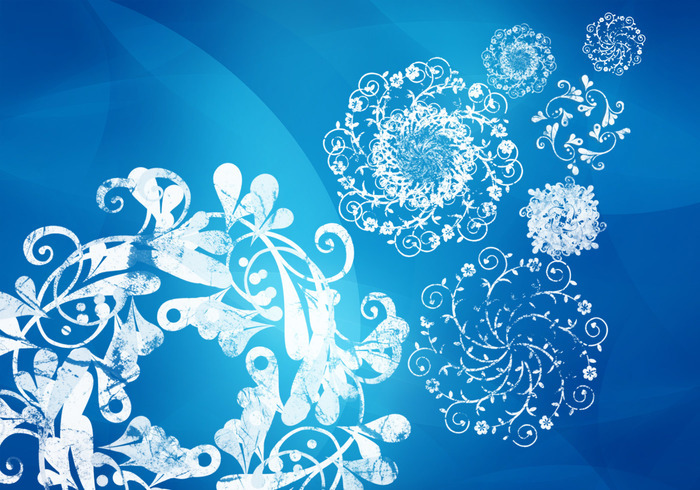 Frosted Snow Flake Brushes | Free Photoshop Brushes at Brusheezy! Snow flake brush wreaths of grungy, decorative swirls. Each high-res snow flake brush is covered with leaves and flowers, and will make your designs look really awesome. Download this snow flake brush pack! I can't express how much I LOVE these!! I'm just learning Elements and these brushes work well as floral, tone-on-tone texture or background patterns. I use them constantly because they just give such a wonderful energy and flow. SO, so grateful and thankful to you for sharing these!! Cool brush . i like it .! These are really lovely, with shading. They layer beautifully too. Big brushes!